Upgrade the factory option Brembo brakes on the Chevy Camaro SS with the Brembo Caliper Upgrade for improved braking performance without the expensive cost of upgrading to another big brake kit. Note: This is for calipers only. This is not a big brake kit. The Brembo Caliper Upgrade for Chevy Camaro SS upgrades the factory option Brembo brakes for better performance. If you are looking for better braking performance on your Chevy Camaro SS, but the factory Brembo brake system is not cutting it for you, we are now offering the Brembo Brake Caliper Upgrade. This caliper upgrade kit replaces the front calipers with 6-piston Brembo calipers and the rear calipers with 4-piston Brembo calipers*. The Brembo Caliper Upgrade Kit for Camaro SS reuses the factory Brembo brake rotors, and includes new brackets, brake lines, and hardware for a direct replacement installation. The Brembo brake calipers provide better overall braking performance with shorter stopping distances and improved brake modulation. The upgraded number of pistons ensure even brake pad pressure for an even wear and consistent performance. 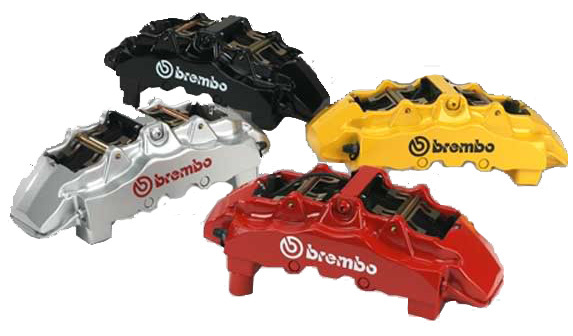 The larger Brembo calipers will also add a more aggressive and sporty styling to your Chevy Camaro SS, and is available in black, yellow, silver, or red finishes.